Ambisexual Clothing Is The New Style Mantra. When it comes to designing, Baja East\'s Scott Studenberg and John Targon do not differentiate between men and women as their style mantra is to design ambisexual clothing. New York: When it comes to designing, Baja East's Scott Studenberg and John Targon do not differentiate between men and women as their style mantra is to design ambisexual clothing. The fashion label that made waves with its first fashion show in 2013 is a luxury designer clothing line by once sales person Studenberg and Targon, who broke boundaries by designing ambisexual clothing that can be worn by men and women alike, reported the New York Observer. Talking about the brand, Targon said that their customer is someone who's a bit jet set as they don't have to necessarily conform to a nine-to-five uniform. In their Pre-Fall collection, the gender-bending luxury designers broke down another barrier by infusing breezy West Coast silhouettes with a hard New York edge. The collection stayed true to the brand's loose and layered signature look, which included flowing cardigans and oversized pants, mixing black with shades of blue and green with pops of metallic hues. Moreover, talking about the use of word ambisexual, Tarfon pointed out that they have always asserted that they are ambisexual and not androgynous because it's more about the attitude and how the clothes take that on. Gender ambiguities aside, the brand's core aesthetic carries over from season to season in its lighthearted and urban look. 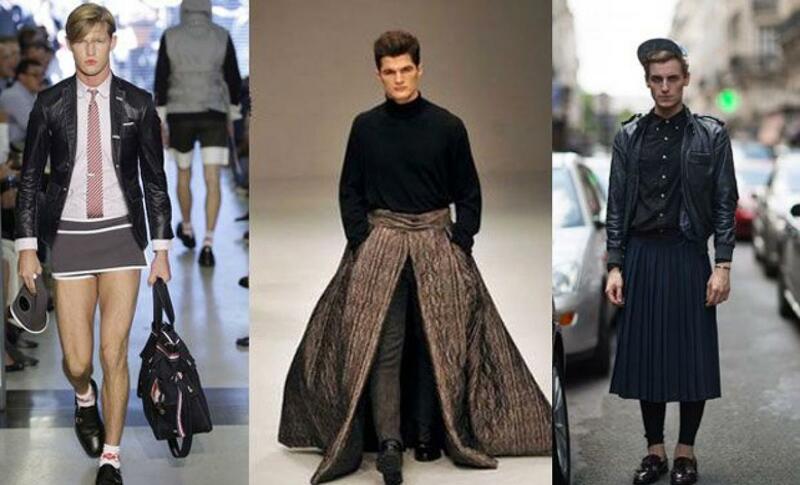 While the trend of men wearing multi-layered and loose designs might be prominent in west, it is still far away from the Indian designers as they are still struck in designing fitted suits for men instead of experimenting with the couture.